MILAN (Reuters) -- Fiat's founding Agnelli family may tighten its grip on the carmaker after its merger with U.S. unit Chrysler and a New York listing later this year, a U.S. regulatory filing showed. The Agnellis control Fiat Chrysler with a 30 percent stake via holding firm Exor, but their voting power could rise to as much as 46 percent through a loyalty scheme put in place as part of the merger to reward long-term investors. 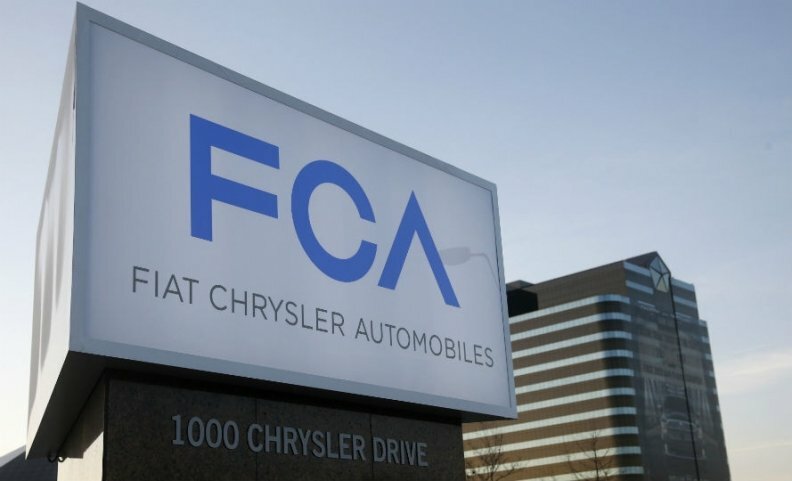 Under the scheme, shareholders who have held their stakes for three years can get two votes for each share they own in a move that would effectively make it "more difficult for Fiat Chrysler Automobiles (FCA) shareholders to change FCA's management or acquire a controlling interest in FCA," Fiat Chrysler said in a filing with U.S. market regulator SEC. Exor plans to participate in the scheme, Fiat said, but its voting power would rise to as much as 46 percent only if no other shareholder takes part. While rumors of a potential Agnelli family exit have surfaced over the years in Italy's press, Exor has repeatedly said the stake remained a strategic investment for the family. But while Exor's increase in control would make Fiat Chrysler less of a takeover target and reduce its options for strategic tie-ups, the Agnellis have helped restructure the group they founded 115 years ago, analysts said. They have also brought in CEO Sergio Marchionne, widely credited for turning its and Chrysler's fortunes around. "There are very few examples in the automotive industry of a strong family owner who has been beneficial to the company, but in the past the Agnellis have acted in a very constructive way," said Sascha Gommel, an analyst at Commerzbank. "I would sit on the fence on this one." Fiat Chrysler said in the filing the 62-year-old Marchionne, who has vowed to lead the joint group until 2018, remains "critical" to the execution of the company's ambitious growth plans. The company is counting on the merger and a U.S. listing to help foot the bill for its 48 billion euro ($65.5 billion) plan to grow net profit five-fold and sales by 60 percent by 2018. However, the tie-up will not result in any significant operational cost savings or synergies, it said in the filing. Shareholders are due to vote on the merger on Aug. 1. Investors will receive one FCA share for each Fiat share they hold. Most will also be eligible for the special voting shares, which will not be listed or traded. Shareholders who vote against the merger are entitled to cash exit rights of 7.727 euros ($10.54) per share. The carmaker expects challenges in creating enough liquidity for its shares in the U.S. market, which will be complicated by its shares also being listed in Milan. U.S. trading volumes of Fiat's sister company CNH Industrial remain tiny eight months after listing on Wall Street. FCA will be Dutch-registered, headquartered in London and have its tax domicile in Britain, although the company said authorities may treat it as also being tax resident elsewhere. Fiat Chrysler said a potential delay to the merger or U.S. listing - both anticipated to be concluded this year - could affect its business plan, operations and shares. Family ownership has often stood in the way of restructuring at European carmakers who have been slow to adapt to competitive threats, missing out on opportunities to build partnerships. The Peugeot family only reluctantly ceded control earlier this year at PSA/Peugeot-Citroen as the automaker sought a tie-up with China's Dongfeng Motor to bring the French group much-needed cash. The move left the family, Dongfeng and the French state with equal 14.1 percent stakes in the company.